GAT delivers the next generation of intense pre-workouts. 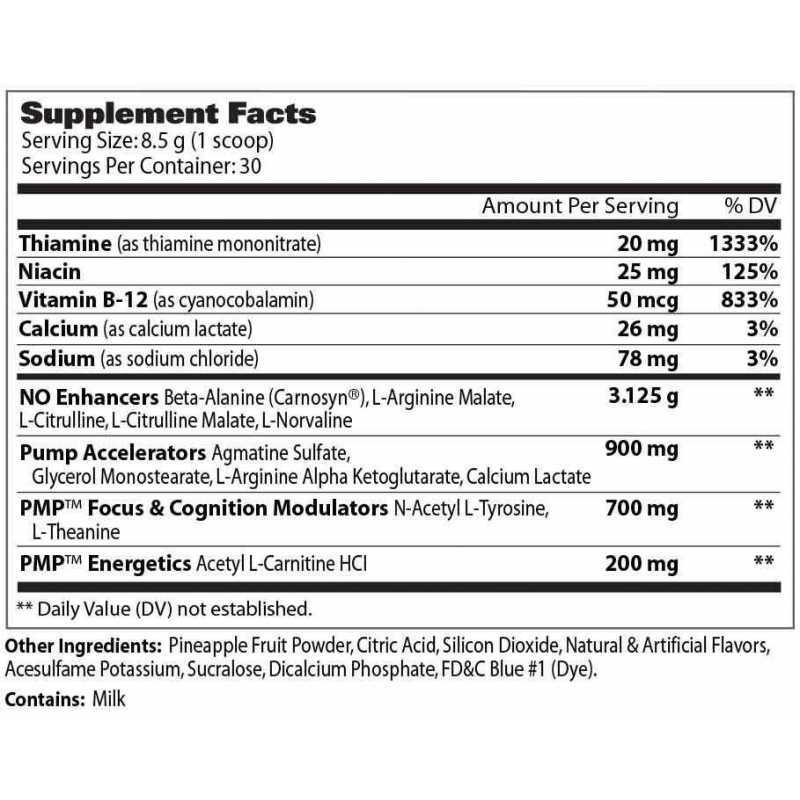 PMP Stim-Free pre-workout is a powerful formulation of clinically researched ingredients this includes vasoactive compounds that have been shown to deliver extreme focus and superior workouts that will promote massive pumps and drive peak muscle performance. Blast through training plateaus like never before and take your sports endurance muscular output to the next level. 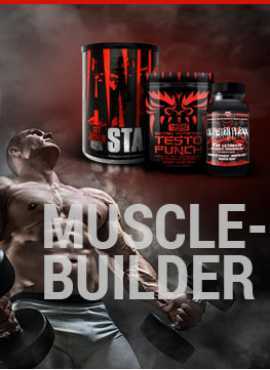 You will experience more massive pumps, laser focus and workout intensity like never before! Get Laser Focused and Experience Rapid Vascular Muscle Pumps for Peak Muscle Performance! 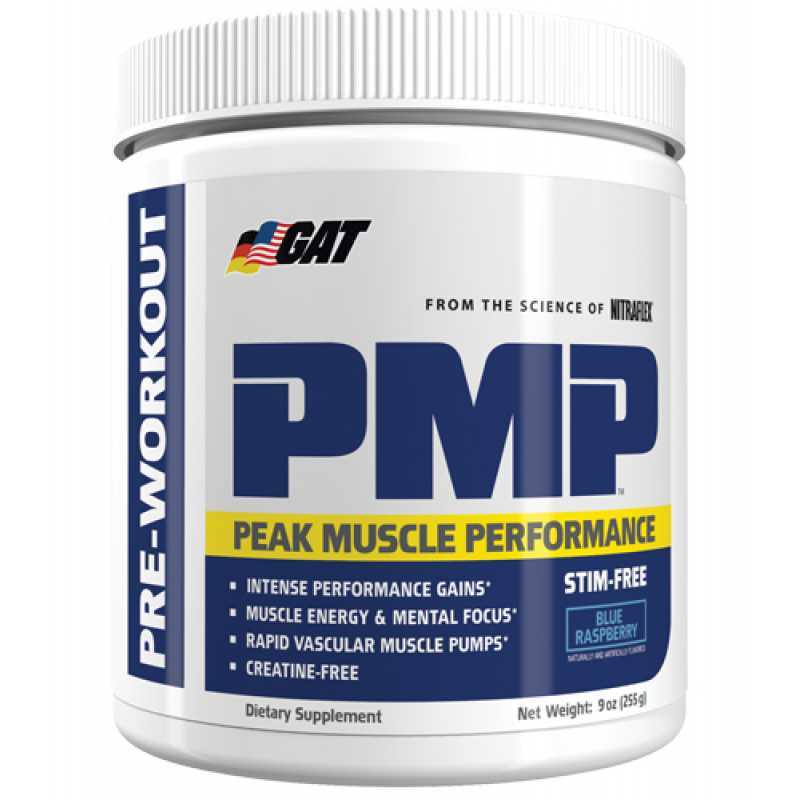 Architect the body of your desire and engage every last muscle fiber with PMP by GAT Supplements! Enhanced performance by way of reducing your muscle fatigue, increasing your muscle endurance and strength, while helping to produce skin ripping muscle pumps! Recommended use: Mix (1) scoop with 8-10 fl. oz. cold water. Consume 15-30 min before workouts. 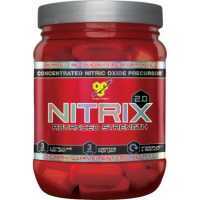 Do not take any other products that contain caffeine or any other stimulants while taking this product. Do not exceed (1) serving in any 24 hour period.